PROMOTION hopefuls Bromsgrove will be aiming to bounce straight back after last week’s defeat to Hinckley when they travel to Lichfield tomorrow (Saturday). 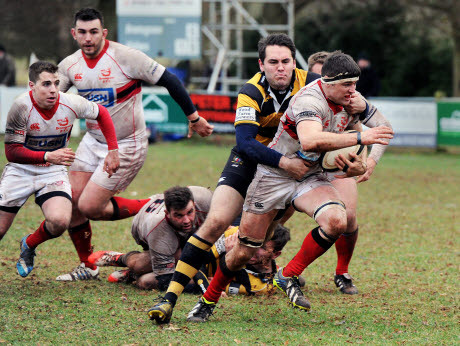 Dan Protherough’s side’s 22-13 loss at home to rivals Hinckley ended a run of seven successive wins and saw them relinquish their hold on second spot in National Three Midlands. Bromsgrove have now dropped to fourth in the table and will be keen to get their promotion bid back on track when they arrive in Staffordshire. However, they will know they will face a tough challenge to record their eighth victory in nine games as ninth placed Lichfield beat them 33-31 at the Finstall Park earlier this season.